"It is with much excitement that we announce our signing to Kemosabe/Sony Records. We are very confident in the things to come and can’t wait to share them with you. Paper Route has been a band for 10 years. Throughout our history record labels have been a bit of a complicated subject. Presidents changing, team members changing, albums getting delayed, the story we’ve all heard too many times. When we decided to release our last album TPOWT ourselves it was one of the best decisions we have ever made, but we knew it was only a temporary decision. As you can imagine, our past has made us a bit apprehensive about trusting our art with another team/label. But we refused to be that bitter band you find in the back of every local show complaining about the record industry and crying wolf to every new artist. Evolve or die. This brings us to Kemosabe/Sony records. When we first sat down with them a few months ago it all seemed too good to be true. We have never met a team as focused, passionate, or real as them. It was effortless. We had found our new home. It is with much excitement that we announce our signing to Kemosabe/Sony Records. We are very confident in the things to come and can’t wait to share them with you. Now we can finish this album. Thank you for following us throughout all of this. 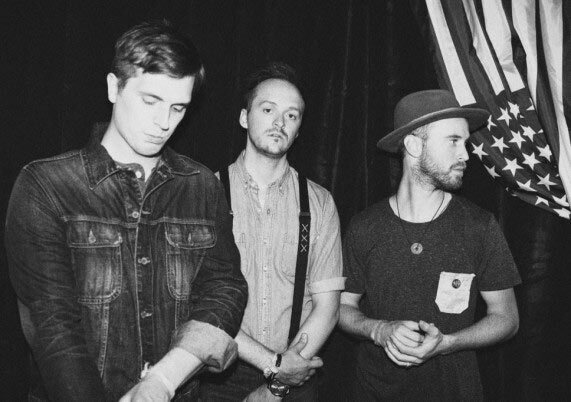 Earlier this year, Paper Route won the JFH staff's top spot for most anticipated new album release of the first-half of 2015, and the album continued to see delays. Stay tuned for news from Paper Route! For more info on Paper Route visit the JFH Artists Database.